We believe life is a journey and that we should live it to the fullest extent. We invite you to read all about all the places we visited during our bicycling adventures and the people we met along the way. 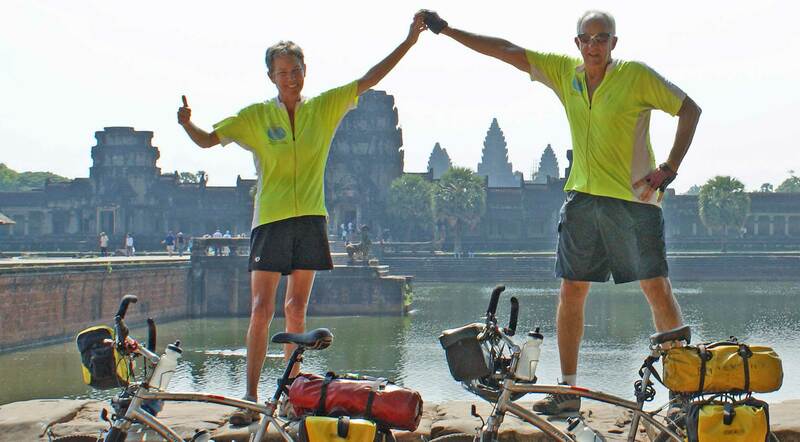 Bicycling Beyond Boundaries is the cycling blog of Pat and Cat Patterson, authors of the “Bicycling Beyond Boundaries” book series. Rather than retire, the Patterson’s chose to sell their successful real estate business and travel the world by bicycle. Their adventures are memorable and inspiring. 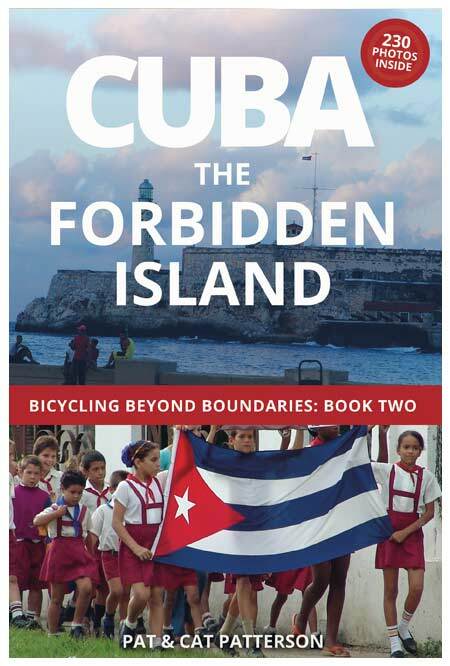 Our second book in the series Bicycling Beyond Boundaries details our cycling adventures in Cuba. The Pattersons decided they HAD to experience life in Cuba, on their bicycles. They believe there is no better way to get to know a place like Cuba and her peoples than on bicycles. Click here to learn more about our adventures in Cuba. 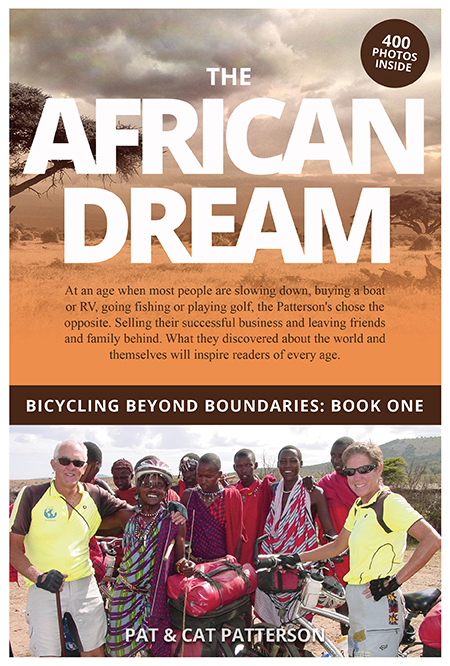 Our first book in the series Bicycling Beyond Boundaries details our cycling adventures in Africa. The 265 days portrayed in this book are a testament to the strength of the love and concern that connected two people. Day after day facing unknown perils yet relishing the spirit of adventure! No greater love hath a couple than to risk it all, knowing they can accomplish almost anything, together! Click here to learn more about the stories we share. Authors Pat & Cat Patterson share their stories and adventures from traveling around the world on bicycles. You never know who you’ll meet on a bike path!